Indian Air Force (IAF) chief, Air Chief Marshal B S Dhanoa, on Monday said that while the IAF achieved its military objective in Balakot on February 26, Pakistan did not achieve its target when it launched a riposte the next day, even though IAF lost an aircraft and one of its pilots was held captive. 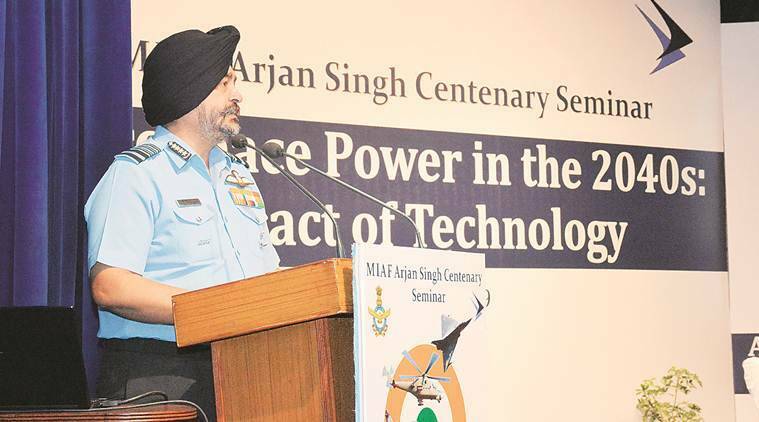 ACM Dhanoa was speaking at a seminar organised as part of events marking the beginning of birth centenary celebrations of Marshal of Indian Air Force Arjan Singh, DFC. ACM Dhanoa said, “Post-our strike on a terrorist training camp, to thwart an impending strike on our soil, PAF launched a riposte on February 27 against Indian military targets. Did they succeed in their objective, the answer is a clear ‘No’, as the attack was thwarted, while we achieved our objective in Balakot. This is the main argument. “But to shift the narrative to this air combat from not being able to achieve your military objective is obfuscating the issue, like the statements given by the other side post-1965 and 1971,” he added.